WASHINGTON — Not with a bang but a whimper. One of the LSU basketball program’s most successful seasons came to an end Friday night with a 80-63 loss to No. 2 seed Michigan State in the East Regional semifinal at Capital One Arena in an uncharacteristic performance in which the Tigers struggled to rebound and defend the perimeter. Seemingly countless times this season LSU relied on its grit and resilience to either hold off a surging team or erase a late deficit, but this time the comeback never came, ushering in the offseason much quicker than the Tigers would have preferred. LSU point guard Tremont Waters put together a career performance against Cassius Winston, shooting 7-for-16 for 23 points, but the Tigers’ post got dominated on the boards early and LSU couldn’t recover. Michigan State had four players score in double-digits, including Winston (17 points), Aaron Henry (20 points), Xavier Tillman (12 points) and Gabe Brown (15 points). 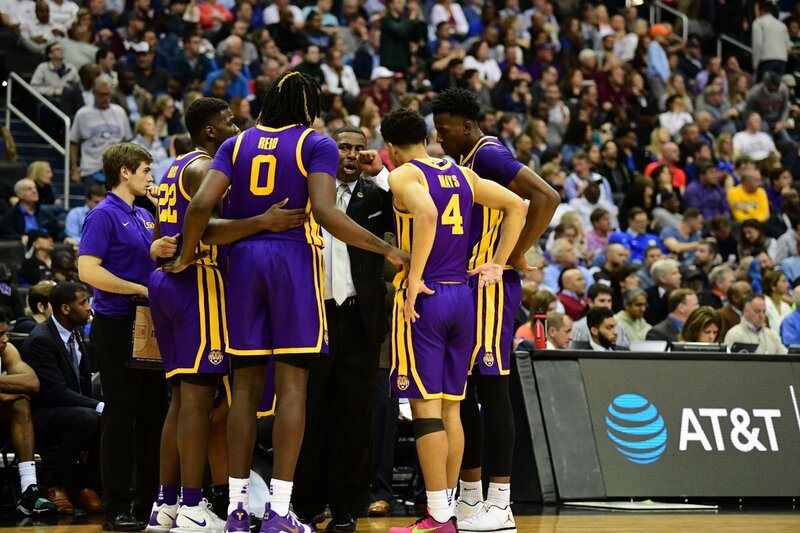 In stark contrast to LSU’s first two tournament games, the Tigers looked lost in the opening minutes and never really recovered for the remainder of the first half. Michigan State scored the first eight points of the game and proceeded to dominate the Tigers on the boards on its way to a 40-28 lead at the halftime break. The Spartans out-rebounded LSU 21-10 in the first half and tallied 12 second-chance points, which ultimately accounted for LSU’s entire first-half deficit. They also shot the ball well from deep, hitting 7-of-17 shots from the 3-point line, many of which were wide open after forcing the Tigers to switch on defense. Out of the break, it looked like LSU had things figured out for a couple minutes of game time. The Tigers opened the half with eight straight points that cut the Spartans’ lead to a manageable four points. But as quickly as the rally started, it ended. Michigan State responded with an 11-0 run to go back up by 56-41 and hit four 3-pointers in less than three minutes to reassert its dominance and put LSU back out of striking distance. 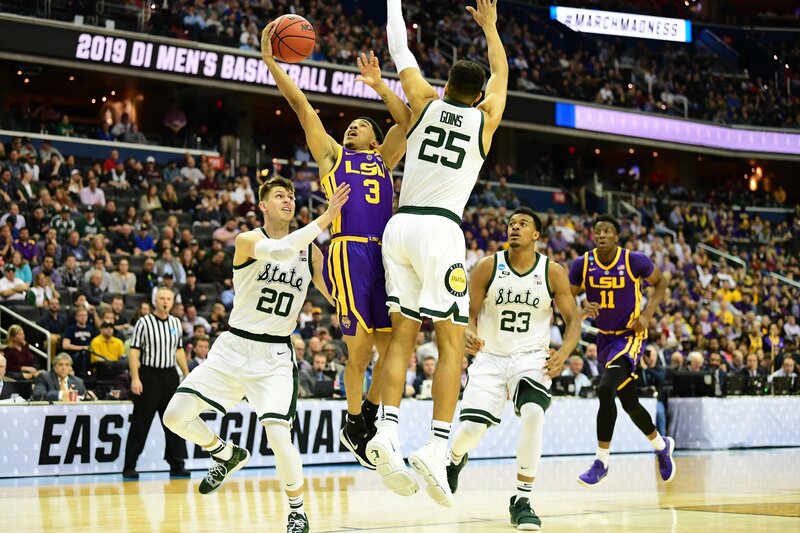 LSU looked more like itself in the second half than the first, but it never recovered from having its comeback end prematurely, and the Spartan went on to hold a comfortable lead for the rest of the game to reach the Elite Eight round of the NCAA Tournament for the 10th time under head coach Tom Izzo. The locker room served as a somber location where many of the Tigers had to come to terms with the fact the season had ended. Some were able to put the season in perspective and reflect on what they had accomplished. 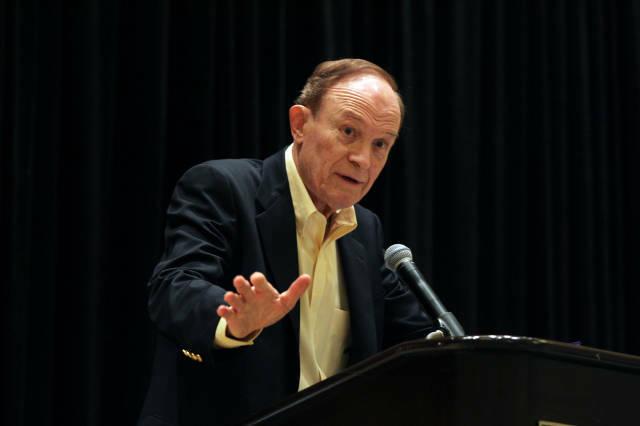 Emmitt Williams bragged about the Southeastern Conference Championship ring the Tigers have coming, and Mays said that just reaching the Sweet 16 with this team says enough about what it was able to do this year. Others weren’t ready to process the season just yet. Freshman guard Javonte Smart said he’s proud of what LSU accomplished, but conceded that he currently felt bitter about the Tigers’ season-ending loss. “I haven’t thought about it yet,” Smart said. “I don’t like losing so I’m still just stuck on the loss. We were in the Sweet 16. I wanted to win and go far.